Alun Hoddinott dominated musical life in his native Wales for over half a century. One of the most versatile and gifted composers of his generation, he excelled in all genres, from operas and symphonies to piano sonatas. This recording brings together all of his songs for high voice and piano, revealing the vivid atmosphere he was able to evoke in each setting. 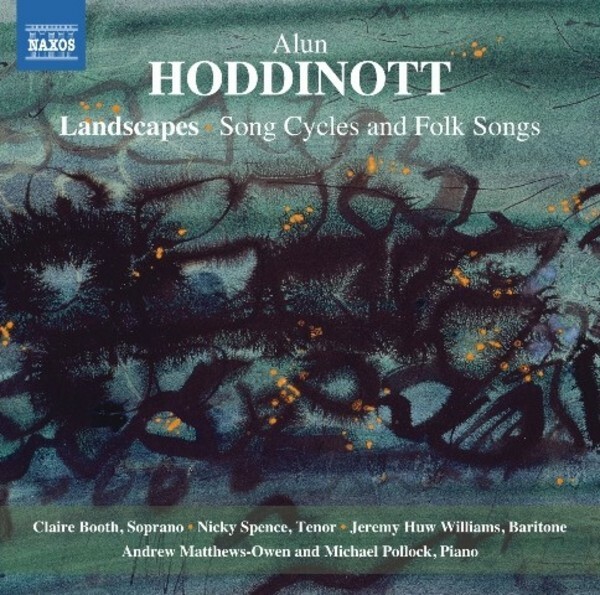 It includes his Six Welsh Folksongs and his last vocal work, Towy Landscape, for soprano, baritone and piano duet, Hoddinott�s epilogue to a lifetime of writing for the voice. This is another of the discs released by Naxos that were originally issued by the British Music Society on their own label [BMS437CD]. Alun Hoddinott is Wales� greatest composer - versatile, prolific and international in outlook. Cardiff�s new major concert hall is named in his honour. Songs play an important role in his output, many for high voice � this was the first disc to bring together all his songs for high voice and piano, and will appeal strongly to lovers of British song on disc.